General market forecast (revenue): Revenue opportunities for companies are larger than combined revenues of Apple, Google, and Facebook today. The starting point of market analysis is usually a sound understanding of general market parameters like market size, segments, and forecasts. The Internet of Things is such a fresh phenomenon, however, and it has such strong dynamics that there is a lack of sound and proven market analyses. 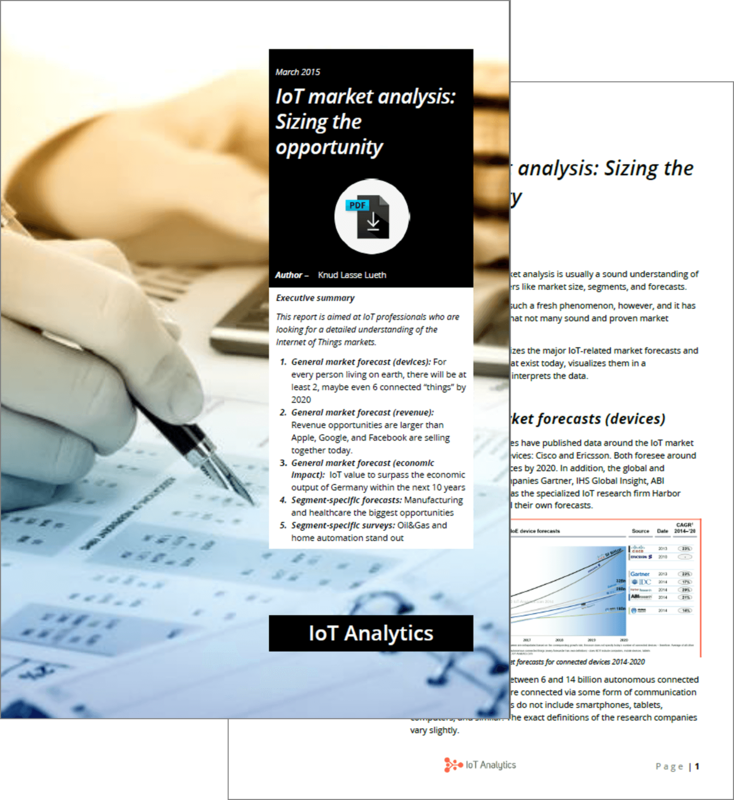 This whitepaper summarizes the major IoT-related market forecasts and market segmentations that exist today, visualizes them in a comprehensive way, and interprets the data.